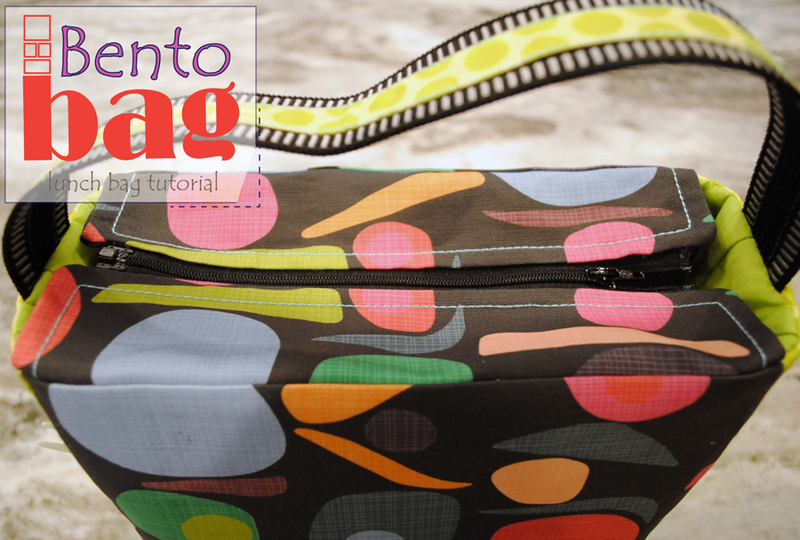 The challenge was to choose a kitchen fabric from Spoonflower and make anything kitchen related… I made this fun Bento Bag! I think selecting the fabrics was almost harder than making the bag! 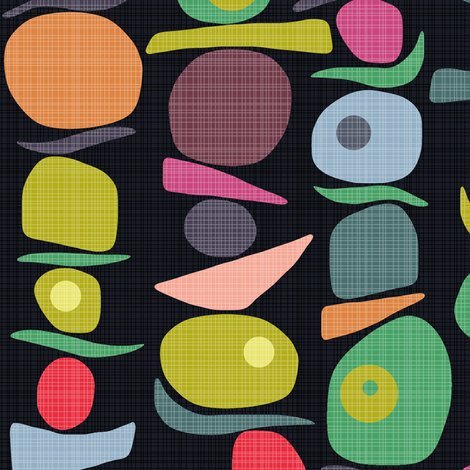 I was deep into the fabric ‘rabbit hole’ at Spoonflower, but I couldn’t get my eyes off this Equilibrium from Scrummy’s food and drink collection! And I’m sure you can see why! Am I right? 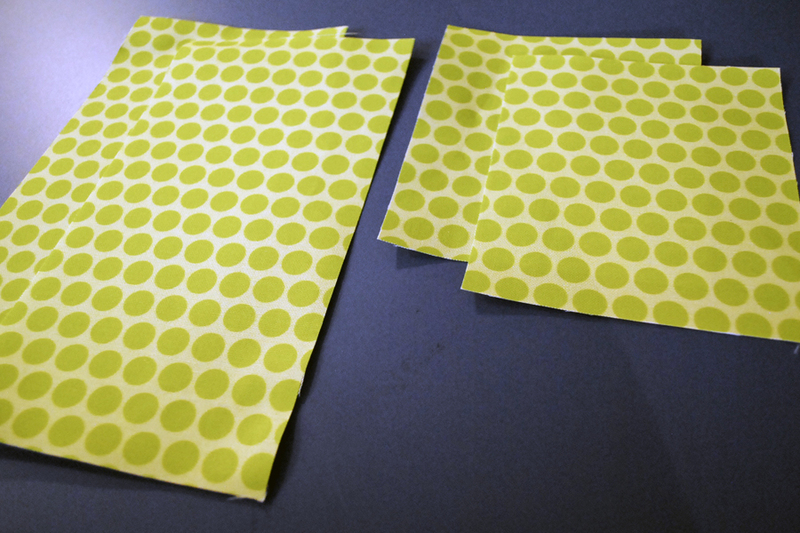 I chose a coordinating fabric called Springtime Gold Spot, also by Scrummy to coordinate! Both fabrics are in Spoonflowers Linen Cotton Canvas. 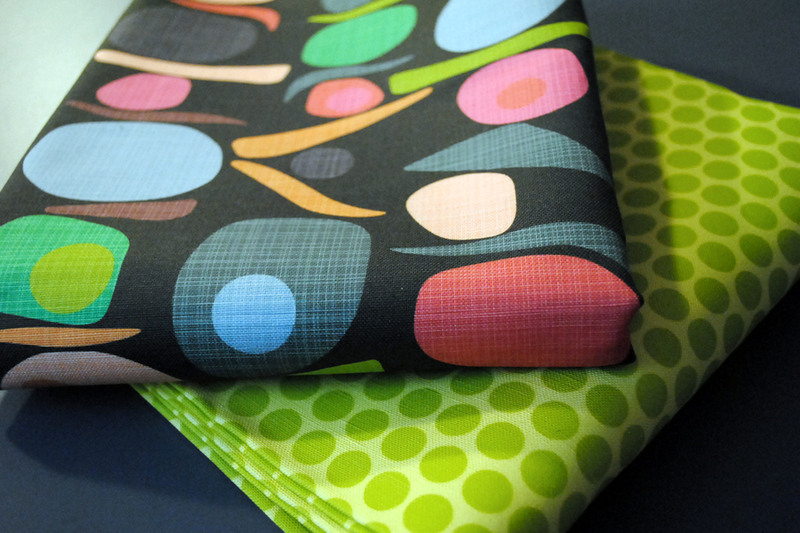 If you are not familiar with Spoonflower, you choose your fabric design (or design your own!) and then you choose what type of fabric to print it on! You can get Kona Cotton, Minky, Knit, Satin, Canvas and more! 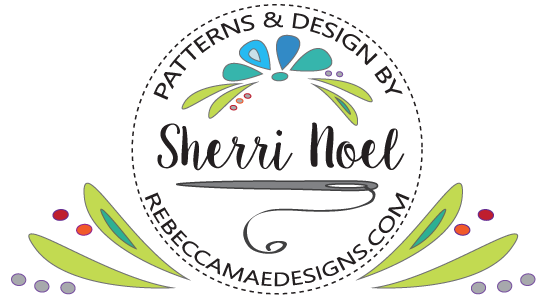 If you are a quilter check out my Quilt Labels with Spoonflower Tutorial and design your own quilt labels! Want to make this Bento Bag? 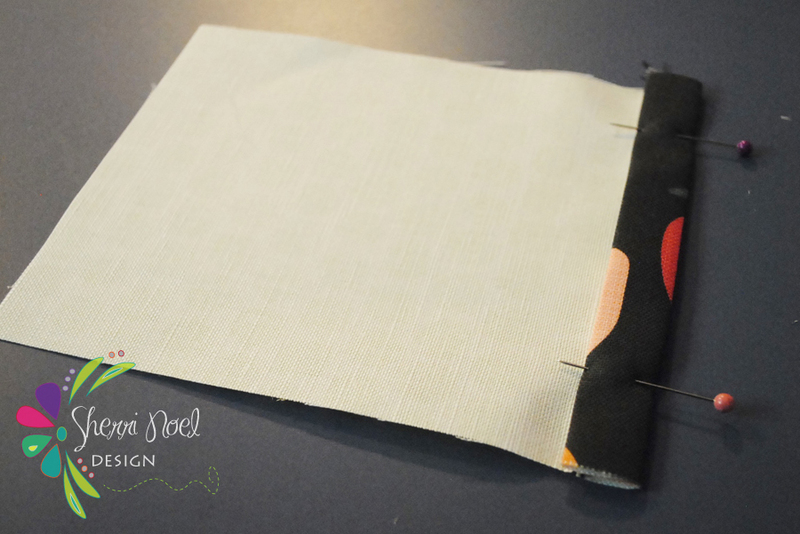 Always sew 1/2″ seam unless otherwise noted. Backstitch at all start and stops. 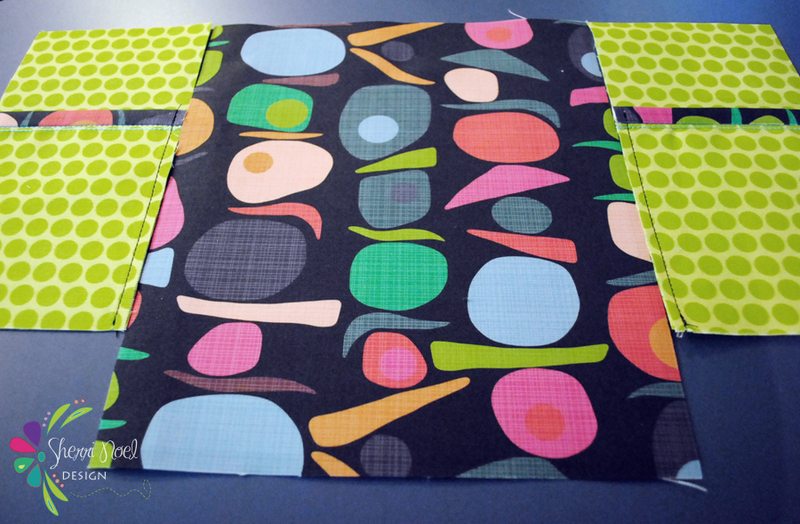 Optional: For a more structured bag, back both of the 10″ x 12″ pieces with fusible interfacing cut to 9 1/2″ x 11 1/2″. Center and fuse in place. 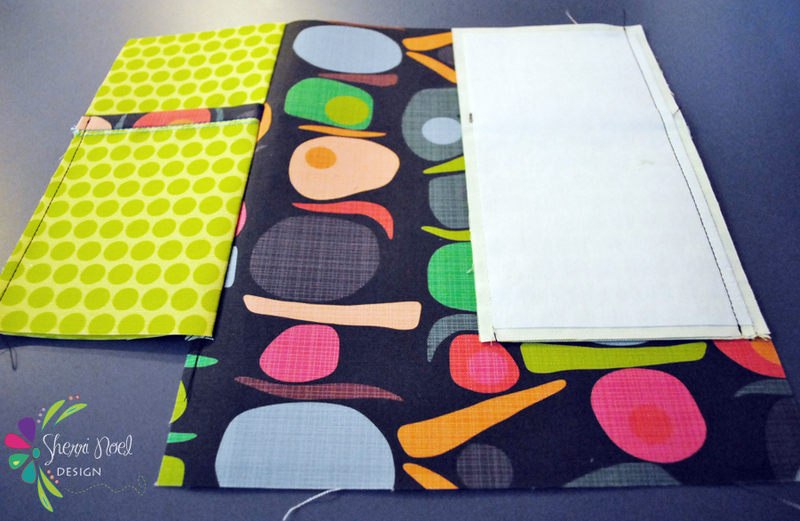 Optional: For a more structured bag, back both of the 5″ x 9 1/2″ pieces with fusible interfacing cut to 4 1/2″ x 9″. Center and fuse in place. 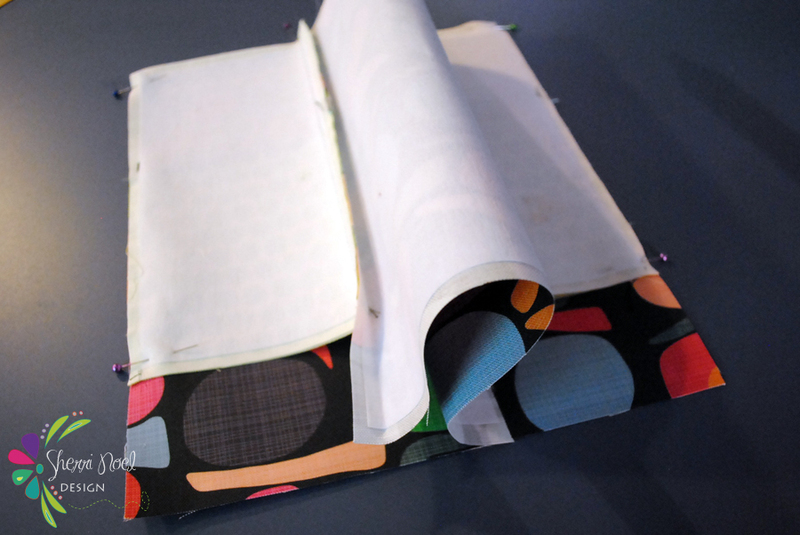 Now sew the 2 1/4″ x 5″ binding strips to the top of the 5″ x 6″ pocket pieces. 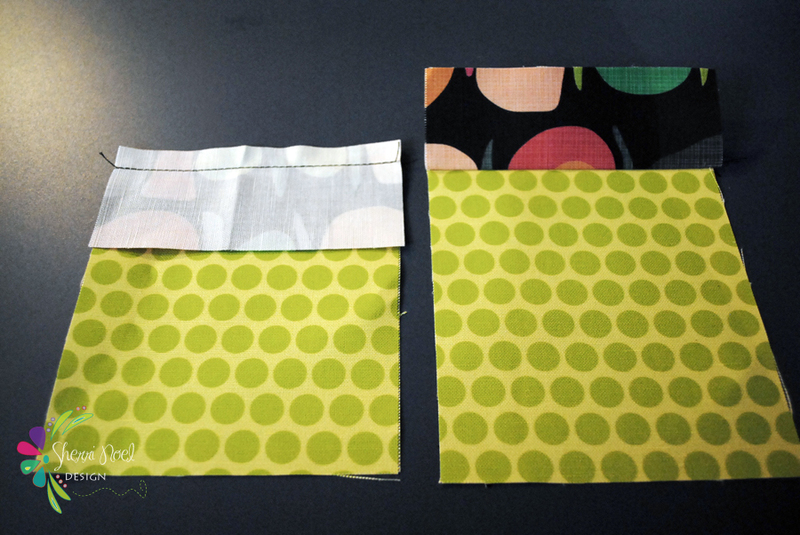 Matching at 5″ sides and sewing a 1/2″ seam. Press seam open. 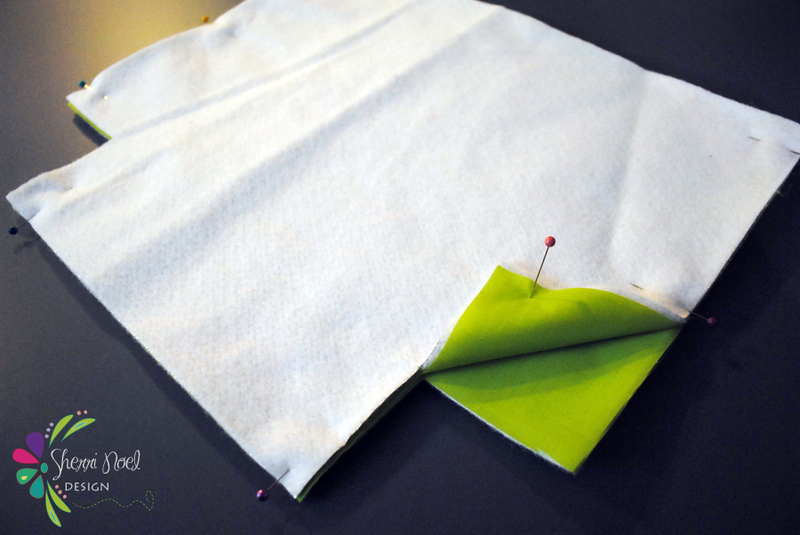 Turn raw edge under two times to the back of the pocket piece and covering stitching. Press and pin in place. Turn to the front of the pocket piece and topstitch along edge of binding, catching the fold of the binding on the back side. I topstitched twice and used this Aurifil 12 weight thread for topstitching to make it stand out and to be a little more decorative. 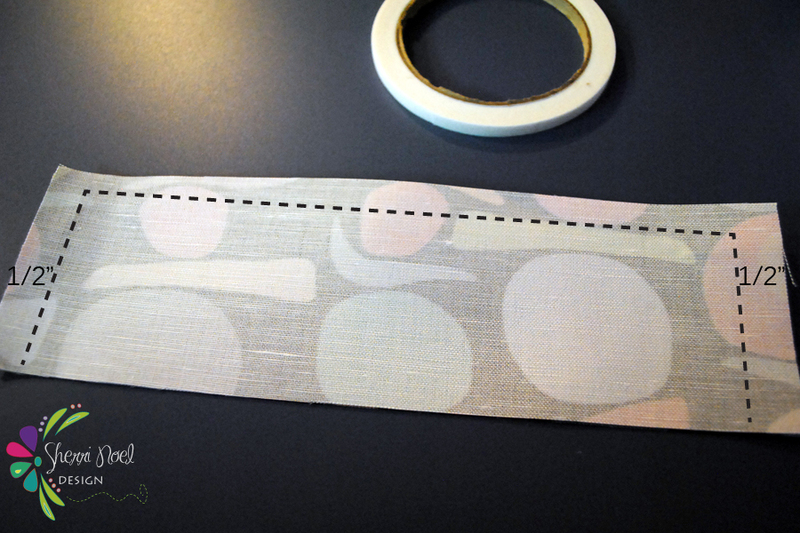 Next, place your pockets on top of the side exterior pieces ~ align at the bottom edges and baste in place with 1/4″ seam. Align side units with the top edge of the equilibrium exterior piece and join with 1/2″ seam. 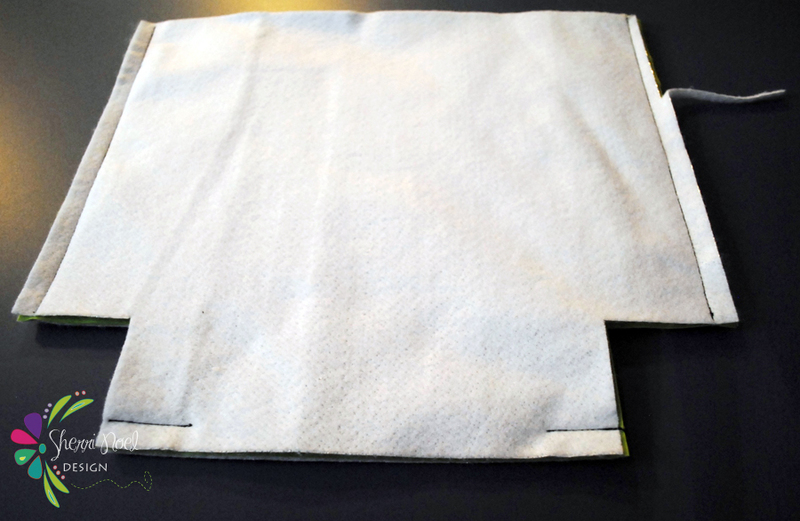 After sides are attached align bottom edges of exterior pieces and sew 1/2″ seam. 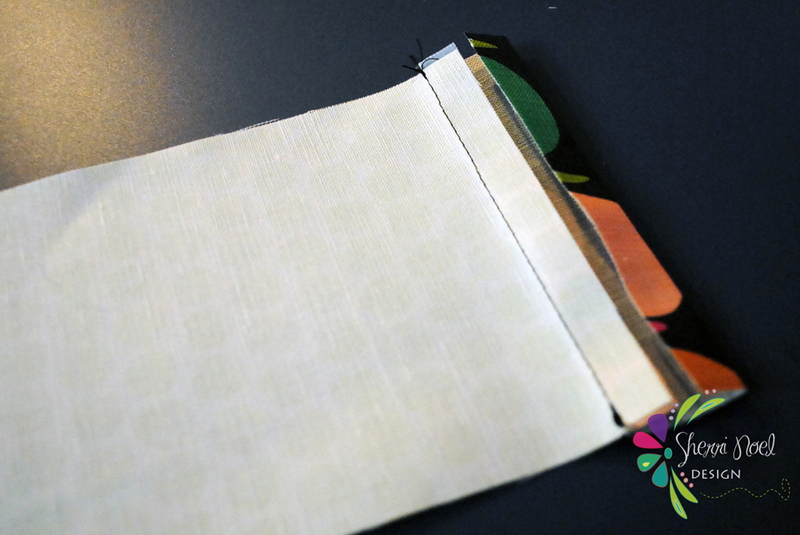 Now, box the bottom corners and sew 1/2″ seam across edge. 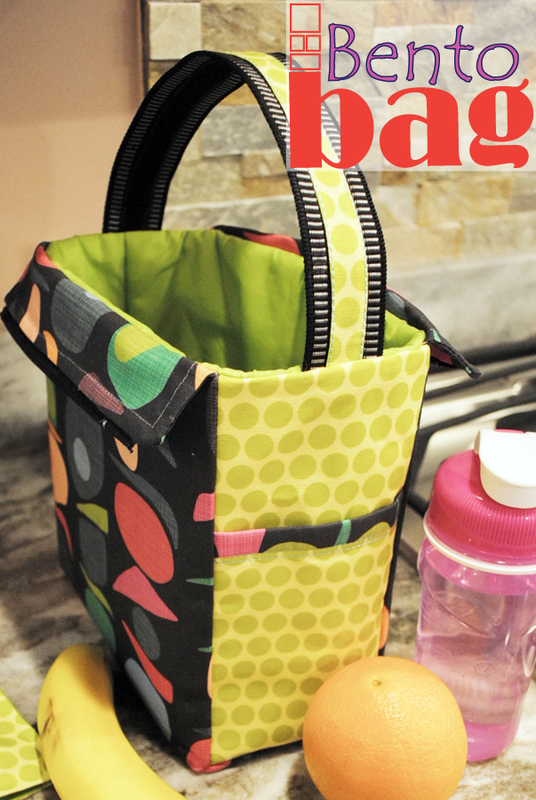 Turn your exterior bag right side out and set aside. 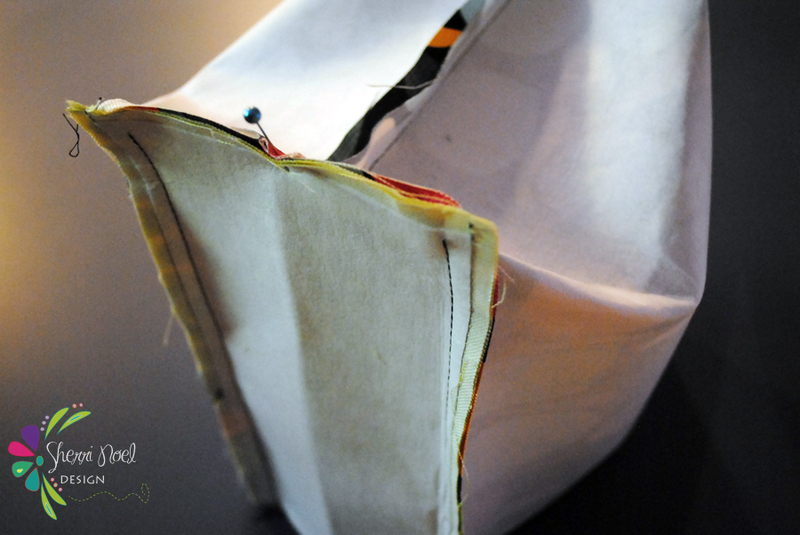 Let’s work on the top zipper now… We will be using the four 3″ x 10″ exterior pieces (two for each zipper half) and the steam a seam for these steps. 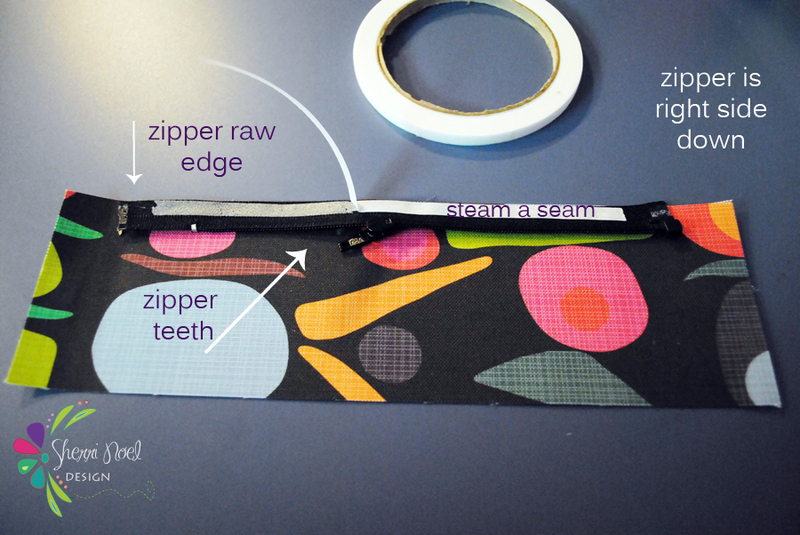 Center the zipper, right side down, with the raw edge aligned with the 10″ edge of the fabric. 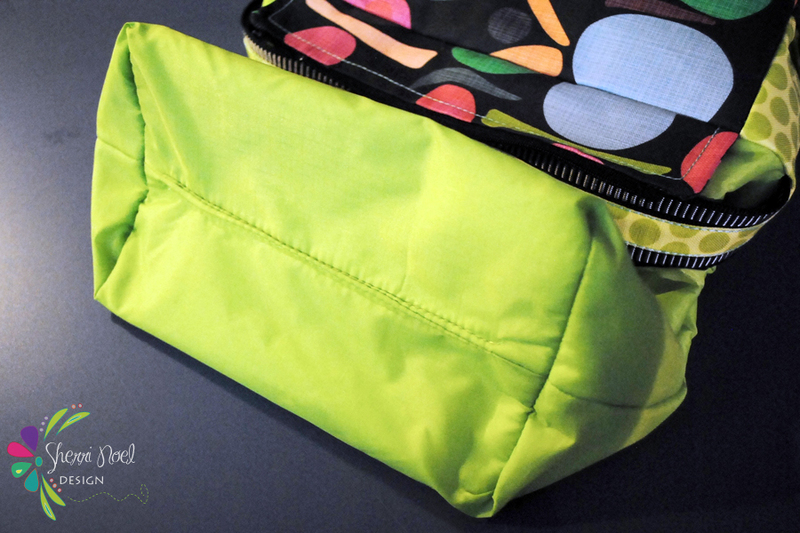 Use steam a seam or pins to secure zipper bottom and top fabrics. 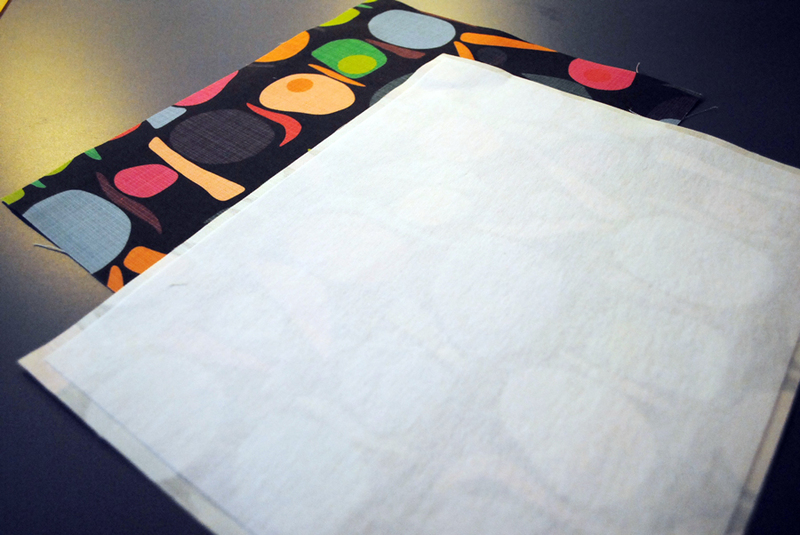 Layer second fabric carefully on top (right side down) and pin or iron to secure. 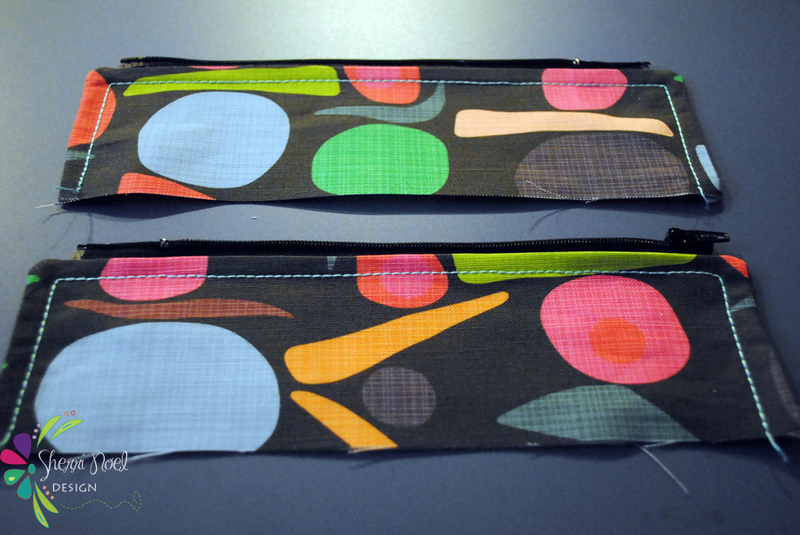 Sew 1/2″ on each short end and sew along zipper (with zipper foot) on long edge. Repeat for second zipper side. Clip corners and turn both pieces right side out. Top stitch around three sides. 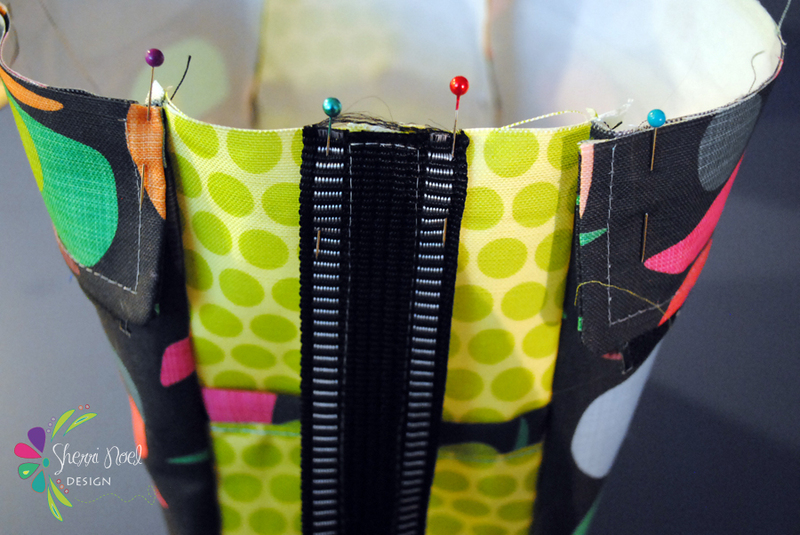 Zip parts together, center zipper and cut to 5″ width. Unzip and pin one zipper part, right side together with each side of bag. Pin handle ends in place right sides together with bag. 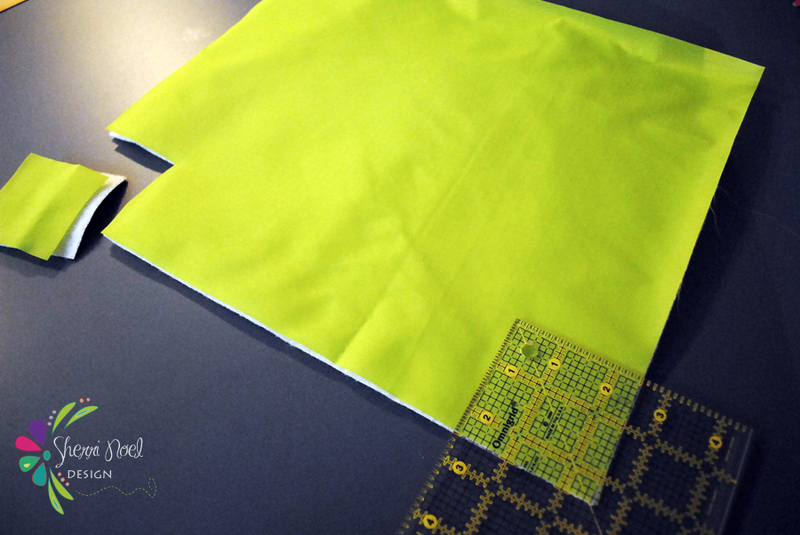 Set aside bag exterior while we work on the lining… Cut two 12″ x 14″ lining pieces from your nylon ripstop fabric and two from the Insul-bright. 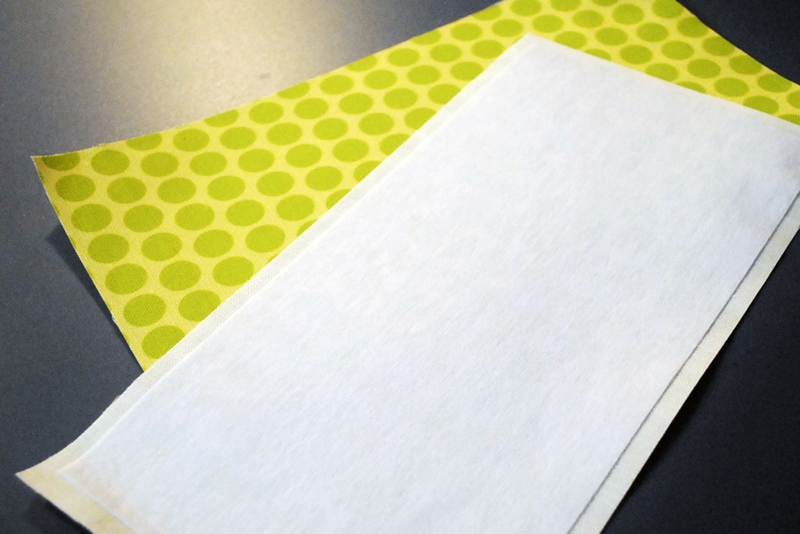 Layer and cut two 2 1/2″ corners out along the bottom 14″ edge. Now place the two ripstop pieces right sides together, sandwiched in between two pieces of Insul-bright. Sew along two sides and a couple inches along the bottom edge at each corner. Leave the corners open and the center of the bottom open (for turning bag later). Trim away excess Insul-bright in the seam to reduce bulk. 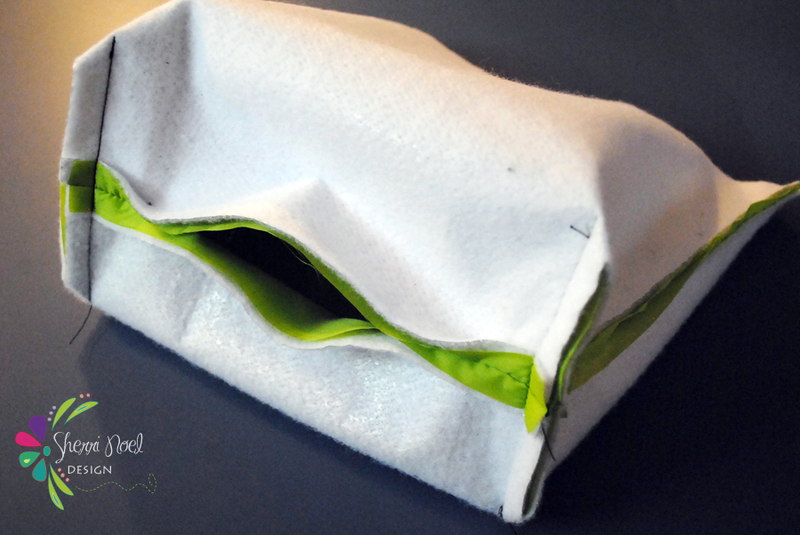 Box two corners and sew with 1/2″ seam. 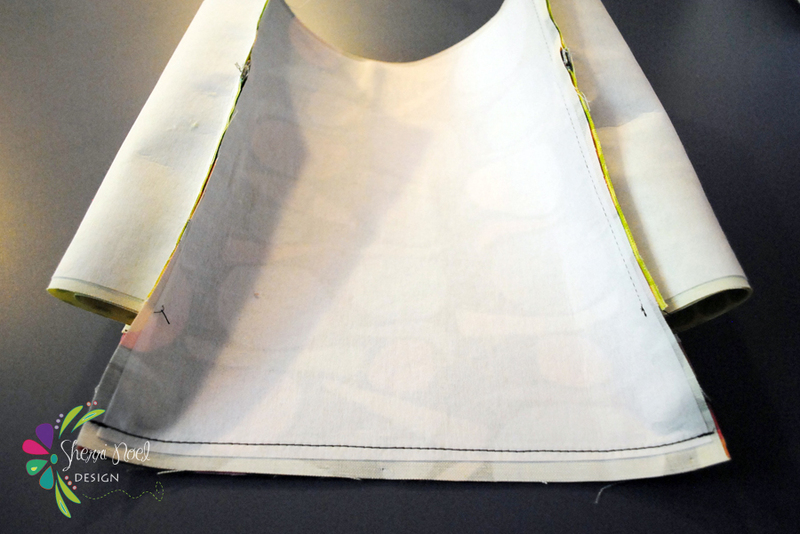 Keep lining wrong side out and place your exterior bag inside the lining. This step is a bit tricky with the bulk and the handle inside but just go slow and match up sides at center points and pin well. 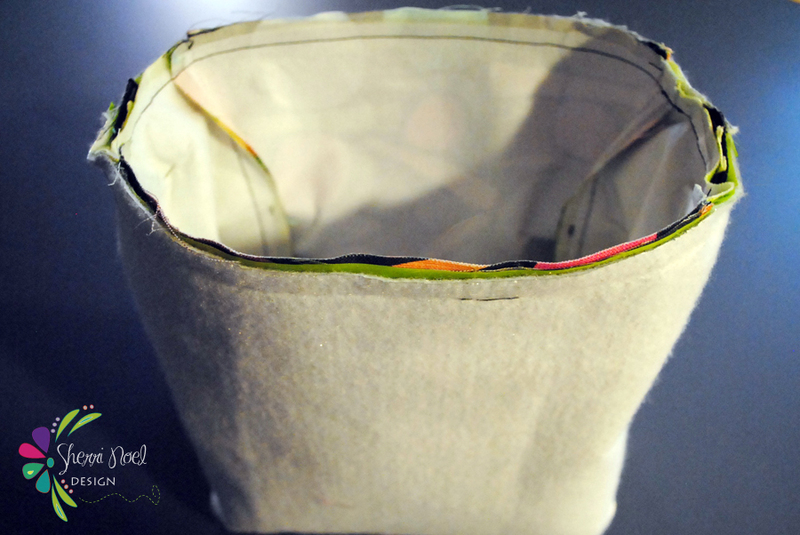 Sew around top edge with 1/2″ seam. Turn bag right side out and sew lining opening shut. 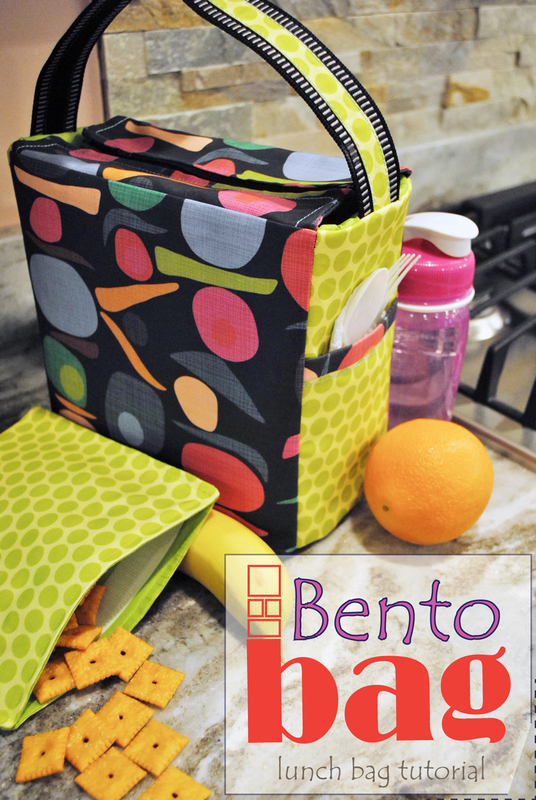 Enjoy your new Bento Lunch Bag! Plenty of room inside to pack a good lunch! If you like this post… Please share it! 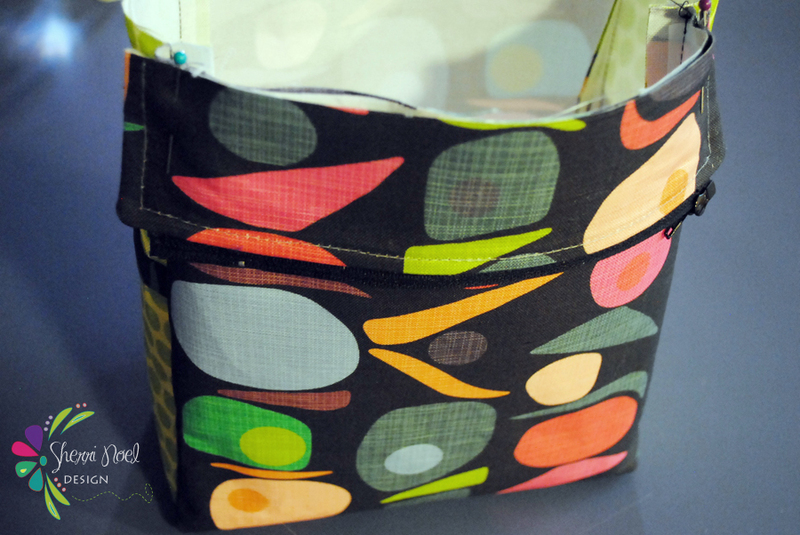 Thank You Sew Mama Sew and Spoonflower for offering this challenge! 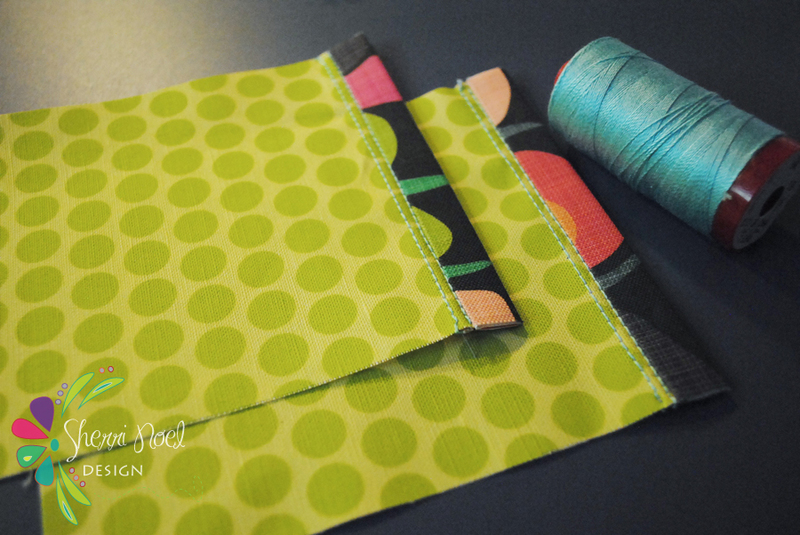 Modern Sewciety Podcast ~ and a beginners tip for choosing fabrics! That’s a really cute bag! Thank you for such a great pattern and clear instructions! Thank you for the tutorieal. What is the final size of the bag ?